In the latest holiday issue of Cake Central Magazine (Volume 4, Issue 12), we asked cakemakers to create holiday wedding cakes that combined traditional imagery with modern motifs. 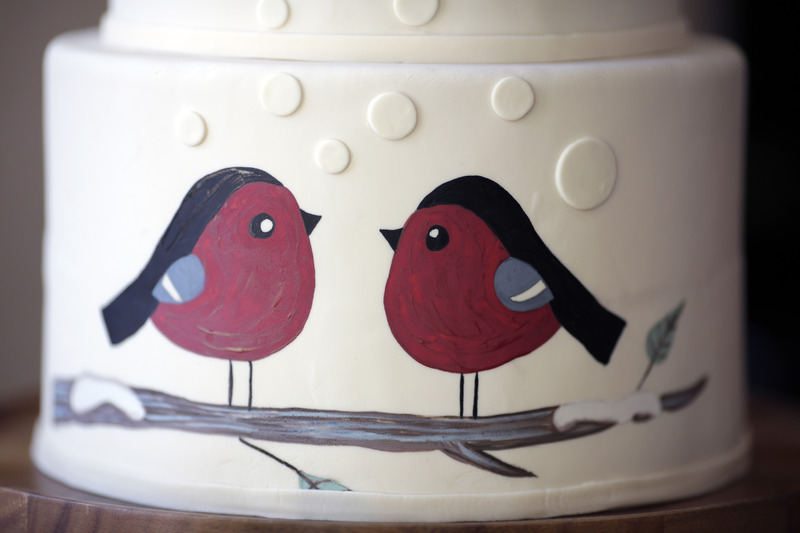 The festive winter birds on both of Diane Fehder’s (Diane8) cakes are simple and stunning, and we felt they deserved a second look! Read on to learn about Diane’s design process. CAKE CENTRAL: What elements of the inspiration photos attracted your attention? 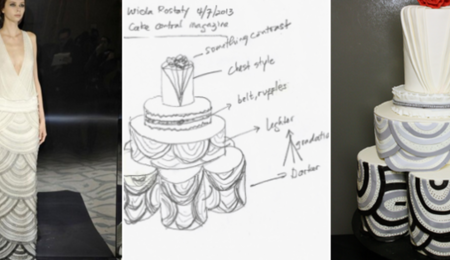 DIANE FEHDER: I was given one inspiration illustration, but I decided to create two cakes based on the one picture. Since it was a cartoon image, I hand painted the exact image freehand on the first cake. I wanted to make the bottom tier taller to draw the eye to the image, but also added pine cones, mistletoe, and holly. The second cake I chose to do all the same tier heights and hand paint more realistic cardinals on all three tiers and use the same foliage motif. CC: What was your design process like? 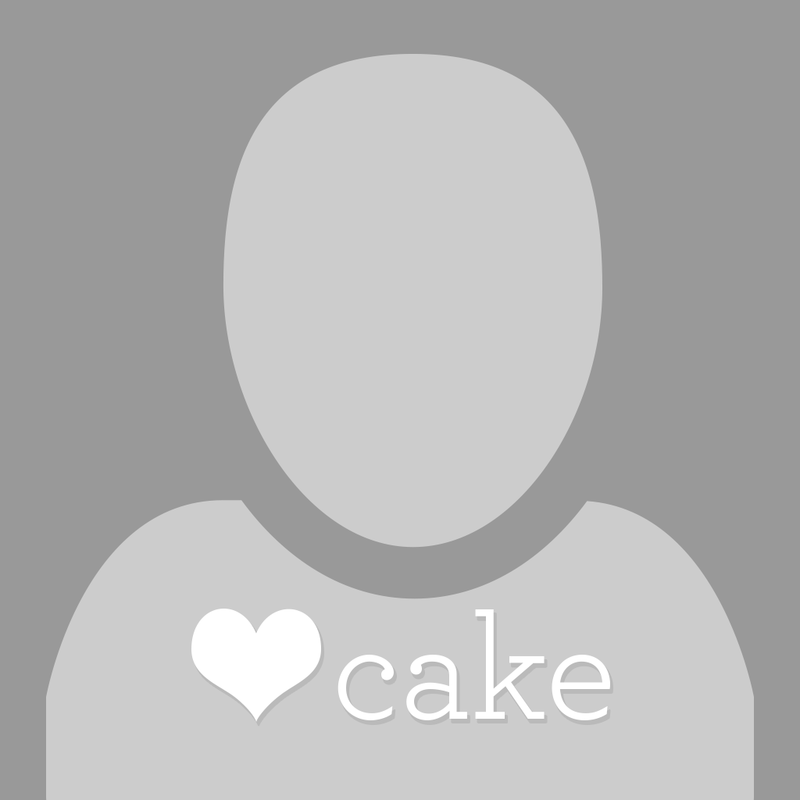 How did you create your cake concept? DF: It took me a while to come up with the designs for these cakes. After thinking about the image for a day or two, I sketched out a few ideas, similar to the process I use when I meet with brides/clients. I work at a wedding venue where I usually only have the opportunity to meet with people once and must come up with a design on the spot. It was nice to have some time to really come up with an idea. 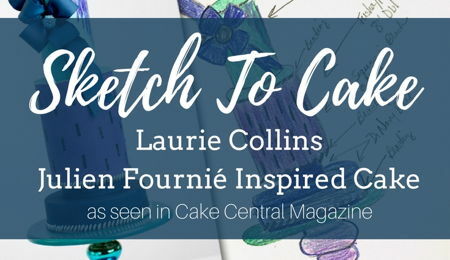 CC: How did you begin making a cake from your sketch? What were your first steps? DF: First, I created the mistletoe, white berries, holly and red berries. I have never made pine cones before and thought that modeling chocolate would be a good medium to use. I looked online to see the best method to make them, but didn’t like anything I saw. I first created a cone shape on a skewer and then used scissors to cut each section. I used gumpaste modeling tools to flatten each piece out and pull them apart. I learned how to make mistletoe in London at Squires Kitchen School, but that was several years ago and I hadn’t made them since. I just looked at pictures of real mistletoe online to recreate it. CC: How closely do you like to work from your sketch? DF: I usually work very closely to my initial sketch but am not upset if it veers off to create something better in the process. If, however, the design is for a paying client, then it’s more important to match the sketch if it’s what the person expects. CC: Did you use any special techniques on this cake? DF: I covered both cakes in fondant and painted freehand with gel food coloring. I made the foliage out of modeling chocolate and gumpaste. CC: Did you have to make changes to your original plan when it came to execution? If so, what did you have to compromise? DF: I was originally going to make the mistletoe, pine cones and holly for one of the cakes and make amaryllis for the other cake. I decided to use the same sugar work for both cakes to save time. CC: Do you have any final thoughts on the finished cake? DF: Even though there was one inspiration image, I think both cakes came out very different. I always enjoy seeing how people interpret cake themes differently. I usually am the worst critic of my own work, but do like how these two cakes came out. I also wanted to incorporate a background that enhanced the cake. I found a bunch of pinecones outside and used them to create a “scene” under the cake stand. I usually am hustling to deliver cakes and do not make much effort to create a nice picture. This project enabled me to think about, in advance, how to present and photograph the cakes in a cohesive pleasant way. 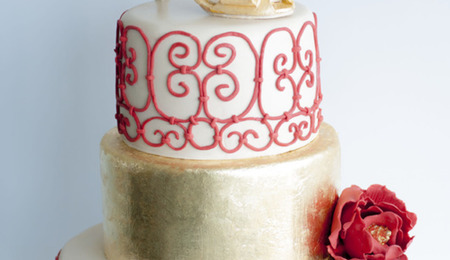 For more holiday wedding cake fun, download your copy of Cake Central Magazine Volume 4, Issue 12!